HIDALGO — RGV Vipers guard Briante Weber sensed the play unfolding in front of him before it happened. Agua Caliente Clippers guard Tyrone Wallace was inbounding the ball with his team trailing by two points and 3.8 seconds showing on the clock, and Weber was guarding him. Wallace threw the inbounds pass to Tyler Roberson about 25 feet from the basket, and Weber stumbled as he slid toward Roberson, wanting to play through a screen he anticipated from the Clippers offense. As Weber moved to his right, Wallace cut to the basket behind him. Roberson found Wallace with a return pass, and Wallace converted an easy dunk with 0.4 seconds remaining to lift Agua Caliente to a 110-109 win on Tuesday at State Farm Arena, snapping Rio Grande Valley’s 13-game winning streak. The final-second basket capped a poor defensive quarter for Rio Grande Valley, as Agua Caliente scored 36 points on 60.9 percent shooting with just two turnovers. For the game, Agua Caliente shot 54.2 percent, led by 24 points on 11-of-13 shooting from Wallace. 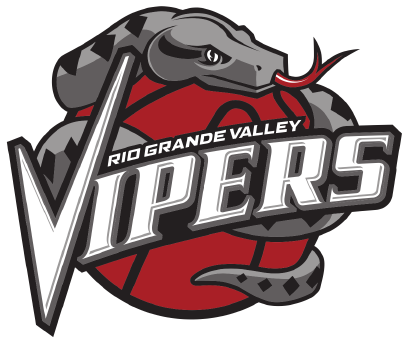 “The last play obviously beat us in terms of the final score, but there’s 47 minutes and 56 seconds that I didn’t think we gave our best effort,” RGV Vipers coach Matt Brase said. RJ Hunter paced the Vipers with 23 points. He finished the first half with just four points on 1-of-8 shooting and an 0-for-5 mark from beyond the arc. The slow start continued a slump from RGV’s previous game Friday against Windy City. Hunter finished that night with one point on 0-for-8 shooting — all from 3-point range. He said the struggles in his last outing carried over to Tuesday. He said Tuesday’s first half only added to his frustration. But during the second half, Hunter scored 19 points on 6-of-9 shooting, connecting on 5 of 7 attempts from beyond the arc. After Agua Caliente built a 97-89 lead with 5:21 to play, Hunter went on a personal 8-0 run, making two 3s and a pair of free throws in a 45-second span to tie the game at 97. The teams battled back and forth from there, with eight lead changes in the final 4:05 before Wallace’s decisive basket. Tyler Lydon scored 20 points with seven rebounds, and Briante Weber finished with 12 points, 13 assists, six rebounds and five steals against just one turnover. As a team, RGV notched 34 assists and only seven turnovers. The Vipers were held without a 3-pointer during the first half after entering the night averaging 12.8 per game. RGV converted eight in the second, still marking the team’s second-lowest total in a game this season. The loss drops the Vipers to 13-4 — still the league’s highest win total and trailing only the South Bay Lakers (11-3) for the league’s best winning percentage. Agua Caliente improves to 9-6 and will play against RGV again on Thursday in Hidalgo.